Surprising as it may seem, reggae has a strong tradition in the North East – from regular big name gigs put on by the likes of the Jumpin’ Hot Club to soundsystem dances at World Headquarters through to Wednesday’s long running Dub In A Pub nights at the Tanners. 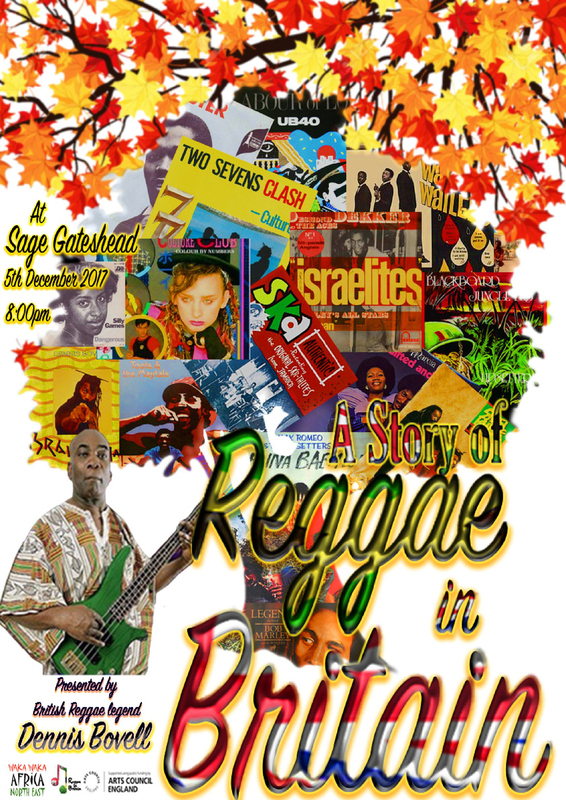 So there’s likely to be a lot of interest in The Story Of Reggae event at Sage Gateshead’s Hall Two on Tuesday 5th December, the debut performance of a multi-media event telling the history of reggae in Britain that’s presented by Waka Waka Africa North East. The night is fronted by Dennis Bovell, he of sonorous voice and indisputable UK reggae legend status. From his days in Matumbi to working with the cream of the post-punk bands, and even a six-month stretch on charges related to soundsystem activity, Bovell knows UK reggae better than anyone. He’ll be joined on the night by his band and two dub poets, Benjamin Zephaniah and regular Bovell collaborator Linton Kwesi Johnson. As well as live performances there’ll be interviews, films and conversation that will include everyone from Don Letts to Suggs, Ranking Rodger to Jazzy B, as well as music from UK artists like Steel Pulse, Aswad and Black Slate alongside their Jamaican counterparts.